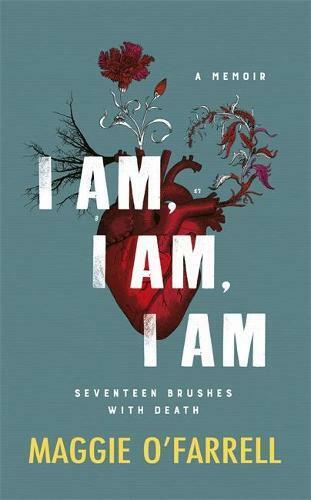 I am, I am, I am is Sunday Times bestseller and Costa Novel-Award winner Maggie O'Farrell’s electric and shocking memoir of the near death experiences that have punctuated her life; it will appeal to readers of Cheryl Strayed’s Wild or Joan Didion’s A Year of Magical Thinking. A childhood illness she was not expected to survive. A teenage yearning to escape that nearly ended in disaster. A terrifying encounter on a remote path. A mismanaged labour in an understaffed hospital.This is a memoir with a difference: seventeen encounters with Maggie at different ages, in different locations, reveal to us a whole life in a series of tense, visceral snapshots. It is a book to make you question yourself: what would you do if your life was in danger? How would you react? And what would you stand to lose? I am, I am, I am is a book you will finish newly conscious of your own vulnerability, and determined to make every heartbeat count.